Last night my daughter and I had a girls night out. This had been planned since Christmas as this was one of her Christmas gifts. 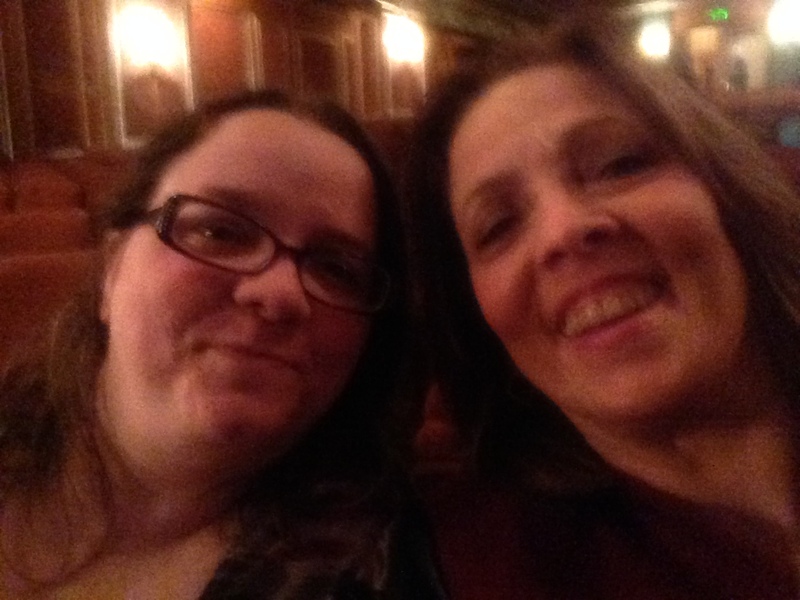 She and I both like Jillian Michaels and last night was the night she came to Pittsburgh with her Maximize Your Life Tour. I decided we needed to make an entire night complete with dinner then the show. I made a reservation at Meat and Potatoes a restaurant here in Pittsburgh. We had to walk in the rain mainly because I detest dragging my umbrella unless it is a complete downpour. I had made the reservation early so we would have enough time to chat and enjoy our meal without having to rush and run to the show. We laughed and had a relaxing meal. 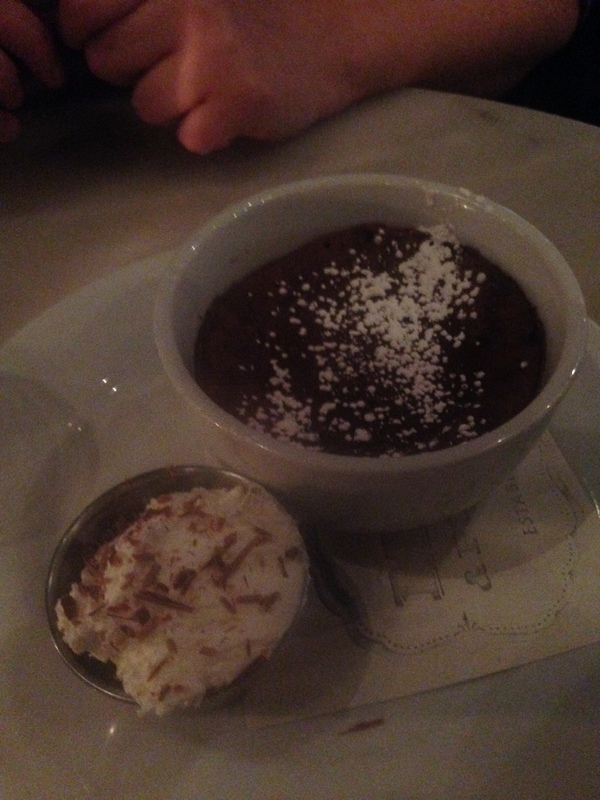 We even shared a chocolate mousse dessert and I have to say I am happy we shared it. It was too much chocolate goodness for one (this coming from a chocoholic). Sorry for the dark photo – I had to use my phone for pictures. After finishing dessert it was time to walk down to the show. I was glad we had time to walk off the meal. We arrived at the Benedum. My daughter and I were laughing because they had candy, popcorn and pretzels and alcoholic beverages for sale. For those of you who don’t know Jillian she is a fitness trainer from the Biggest Loser. Jillian’s message was not only about diet and exercise but more about self. She gave many excellent take away points and certainly provided food for thought. It was an excellent night for me. I was able to share my evening with someone who is both my daughter and my best friend. We both agreed we need to do many more of these girls night out. It really was a fun time. I was disappointed we couldn’t get better pictures but unfortunately camera are not allowed in the theater. Thanks for your support.